Many of us use the same cooking fats to prepare different kinds of meals, but did you know that specific cooking fats and oils are best suited for different types of meal preparation? 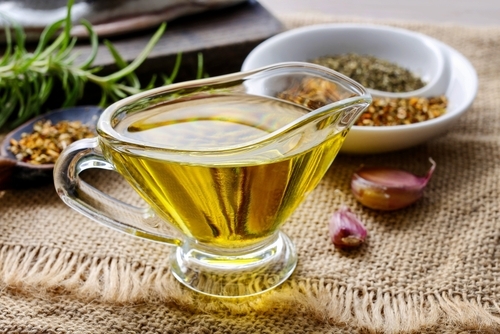 Some oils are used for roasting, while other fats are better for baking. Having a strong understanding of which fat to use for the various types of cooking will make your food taste better and will be healthier for you! We have compiled a useful guide to help you determine which fats and oils are best to use for different types of cooking and baking. Seed oils are extremely high in monounsaturated fatty acids (MUFAs) and polyunsaturated fatty acids (PUFAs) at varying ratios, all of which are prone to oxidation when used at high temperatures. In other words, olive oil has a low smoke point and will burn at a lower temperature, which depletes its nutrients. Therefore, Olive oil is best used for sautéing over moderate to low heat or using as a based in salad dressings. Coconut oil is classified as a super-food due to its many benefits that go beyond cooking. It is most known for improving cholesterol levels and helping to increase metabolism and digestion. Out of all the oils on the market, coconut oil has the highest percent in saturated fatty acids, 90% to be exact, which makes it a great source of fuel for your body. Unlike olive oil, coconut oil is highly resistant to oxidation at high heats. This makes it best used for high temperatures cooking methods like roasting, frying or baking. When not in use, coconut oil solidifies which means it is not a good oil to use in sauces or dressings. Ghee (pronounced gee, like bee but with a G) — also known as clarified butter — is milk fat extracted from butter to separate the milk solids and water from the butterfat. This process makes it very low in lactose, which is a great option for people who can’t handle dairy in their diet. Similar to coconut oil, ghee is great to use as a substitute for butter when baking, frying or sautéing. A main benefit in using ghee over butter for example, is that ghee is high in Omega-3s (monounsaturated fats), which plays a large role in maintaining a healthy body. Finishing oils, which are extracted from nuts, have a very low-heat cooking tolerance. Usually these oils are mixed with herbs or other spices, which are perfect for dipping sauces, salads or adding extra flavors to a prepared meal. Don’t apply high heat to these oils, however, as they can make the flavor bitter. You do not want to apply high heat to these oils or it will make the flavor bitter. If you’ve ever had duck fat fries you don’t need me to persuade you that duck fat and lard provide excellent flavor to fried foods. Due to its availably to be used under high heat, duck fat and/or lard is perfect for cooking foods at high temperature such as frying or sautéing. If you are a baking enthusiast you will be happy to hear that vegetable shortening also known as palm shortening is the answer to your flaky-baked-good prayers! Similar to Crisco, palm shortening is perfect for baking because of its butter like consistency. Organic vegetable shortening is made with 100% organic expeller pressed palm oil, and contains 0 grams of trans fat. So, unlike Crisco, palm shortening is not damaging to your health. Many oils and fats on the market can be hard to obtain and often expensive. With the knowledge of understanding which oil to use for what kind of cooking, you can have some flexibility and splurge on certain oils when needed. For example, it is good to always keep a quality olive oil available for entertaining, whereas for roasting you can use small portions of coconut oil. Alternating between fats and oils for various types of food preparation is the key to a successful meal and healthy diet. This entry was posted in News and tagged Cooking, Healthy Eating. Bookmark the permalink.